We all know catering can be a tricky part of planning an event and can often lead to disappointing results with the same old themes and styles, well hog roast Wigan can help you provide top quality catering for your next function with minimal fuss and effort on your part, we do the hard work for you whilst you enjoy the event, the way it should be. 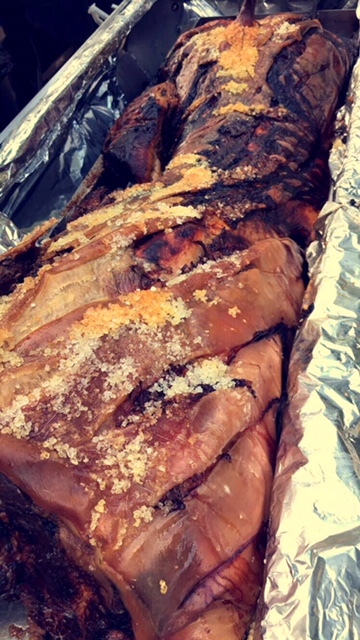 Hog roast catering involves slow cooking produce in a rotisserie style oven, an old method of cooking but we bring it right up to date with a conventional slow cooker that cooks the chosen meat to perfection giving it a moist and tender taste you usually can not achieve in standard cookers. Hog roast Wigan want to cater for your next event and we promise you a service and food second to none, we deliver where others fail and bring a total different style of catering making sure the food is original and tasty, setting a centrepiece for everyone of your guests to congregate round, it gives a certain ambiance that normal catering cannot recreate. Hog roast hire Wigan also hire out our top quality equipment so you can try hog roasting yourself, we only use the best apparatus and it is really simple to use but with out skipping on quality and dropping in standards, once you have seen our cookers in action you will see how easy they are to work, this will give you the confidence to give roasting a go and give you the tools to pull off amazing food for your next function, it does not matter what style event you have planned a hog roast cooker fits in well with any theme and with our wide range of produce we can cater for most tastes, if you want it cooked we will cook it. Hog roast hire Wigan can provide the produce or alternatively you can provide your own, we all know the great produce the local farming lands have to offer and we do not mind if you have a contact yourself, you can just hire our fantastic equipment and provide your own meats and choice of seasoning, whatever makes your day run more smoothly, we are all about cutting out problems for you the customer. If you have not used a rotisserie style hog roast cooker before please do not worry as we said the hog roast cookers we have are really simple to use yet very effective at doing the job in hand, cooking your meat to the best standard it can be, our staff are here to help and will give you a full run down of how to use our quality hog roast cookers, we only use the best staff and they are here for you so feel free to ask anything concerning our cookers, we will give you the cooking times and information to use one of roasters effectively, once you have tried our wonderful hire service we guarantee you will wonder what you were worrying about once you pull off the party of the year with amazing food to boot. Hog roasters are very adaptable and can cook most products to a brilliant standard so if you have a specific meat or product in mind then please just ask us and we will endeavour to provide that meat for you so don’t let anything get in the way and let your imagination run wild as we can provide a wide range of produce for the cooker in question. Our range is wide open and we only select the very best from local farmers, if it can be cooked or roasted then it can benefit from a quality hog roasting. We can offer you the finest beef cuts from juicy rump to prime ribs any cut tastes great once it has been slow cooked on one of our hog roasters. Minted lamb is another meat that really gets the most from a slow roasting, lamb is a soft and tender meat but can be ruined by over cooking well not with one of our roasters, they slow cook it just right letting it melt in the mouth. Fish is also another choice we have as well as white meat choices such as chicken and turkey a good choice for smaller events, we also provide salad and potato dishes for vegetarians so with all these fabulous choices try something different for your next event you will not be disappointed with the results.